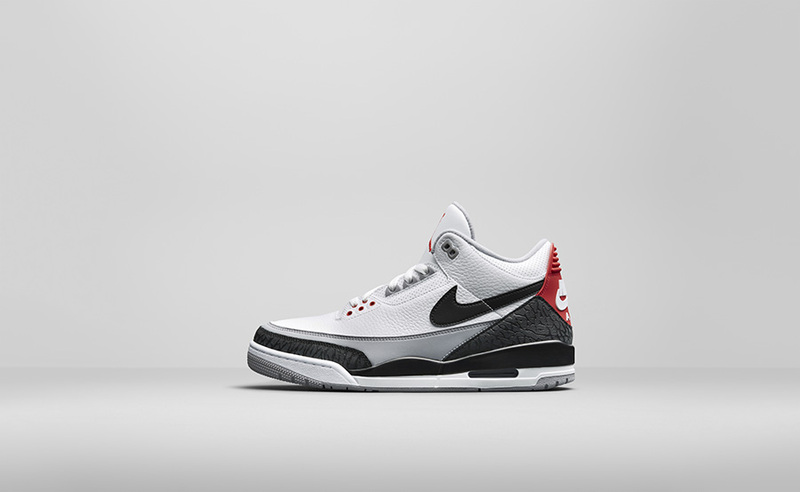 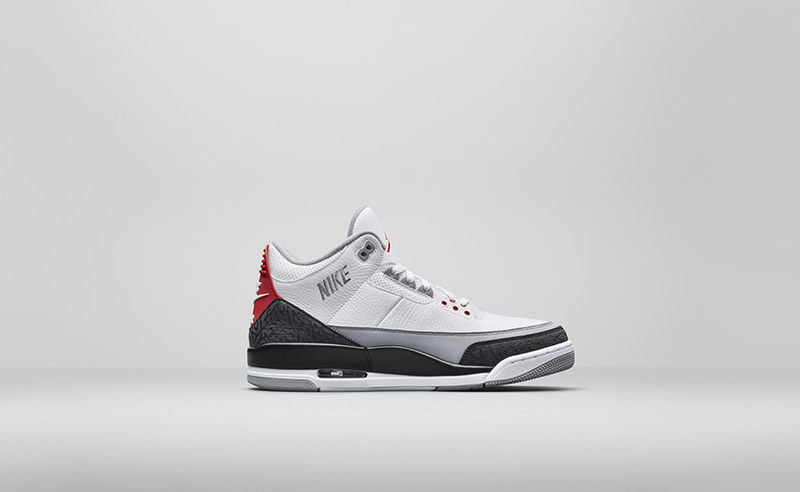 Air Jordan 3 "Tinker Hatfield"
Jordan Brand digs into the vault and brings to life Tinker Hatfield’s original Air Jordan 3 sketch, that featured more than Nike Air on the heel. 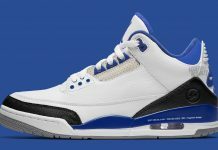 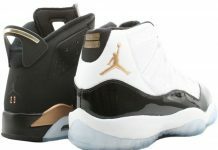 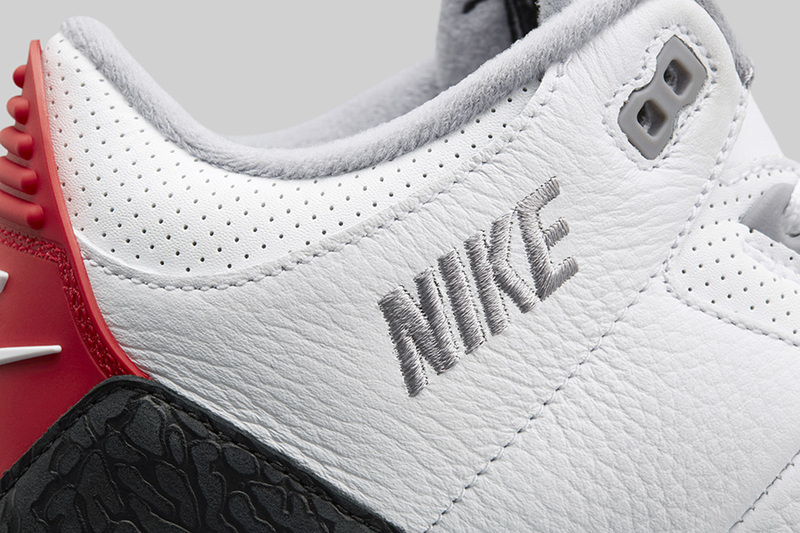 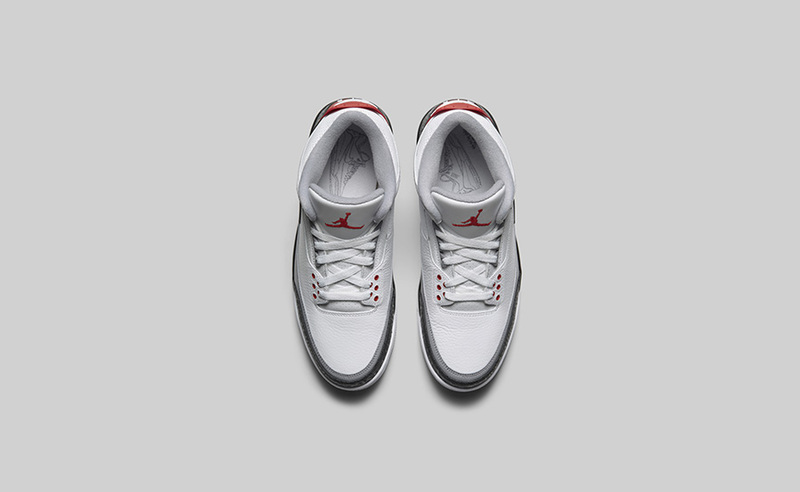 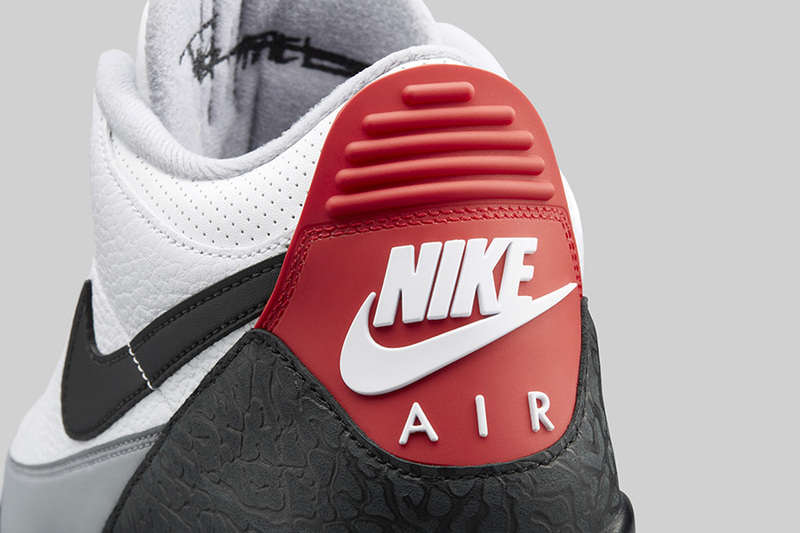 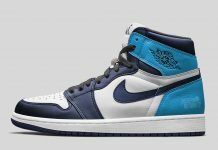 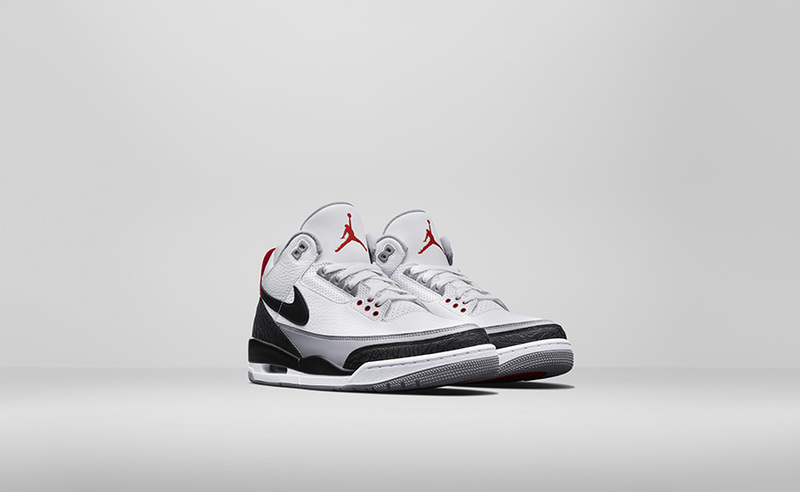 The original Air Jordan 3 featured a swoosh on the side panels complimenting the heel and Jumpman logos. 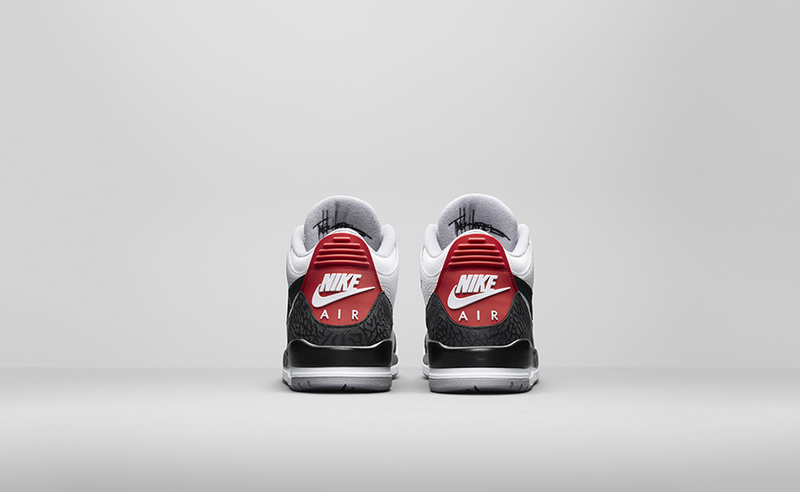 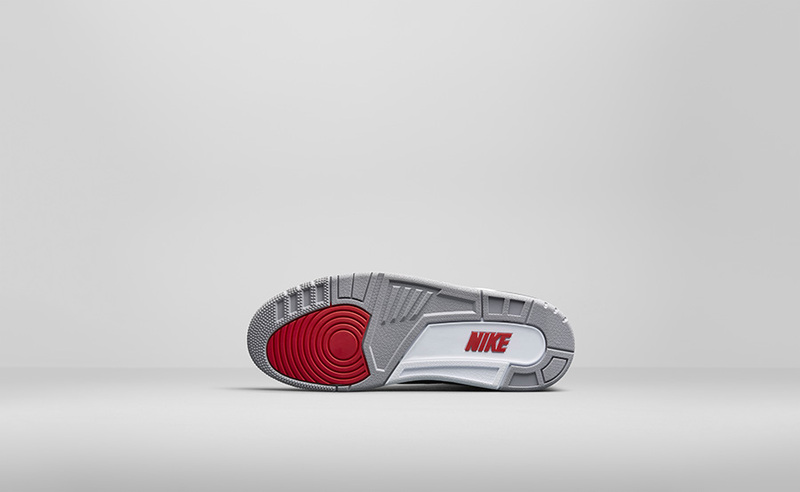 A hit of grey on the mudguard as well as dark cement print compliments this release, with additional details throughout. 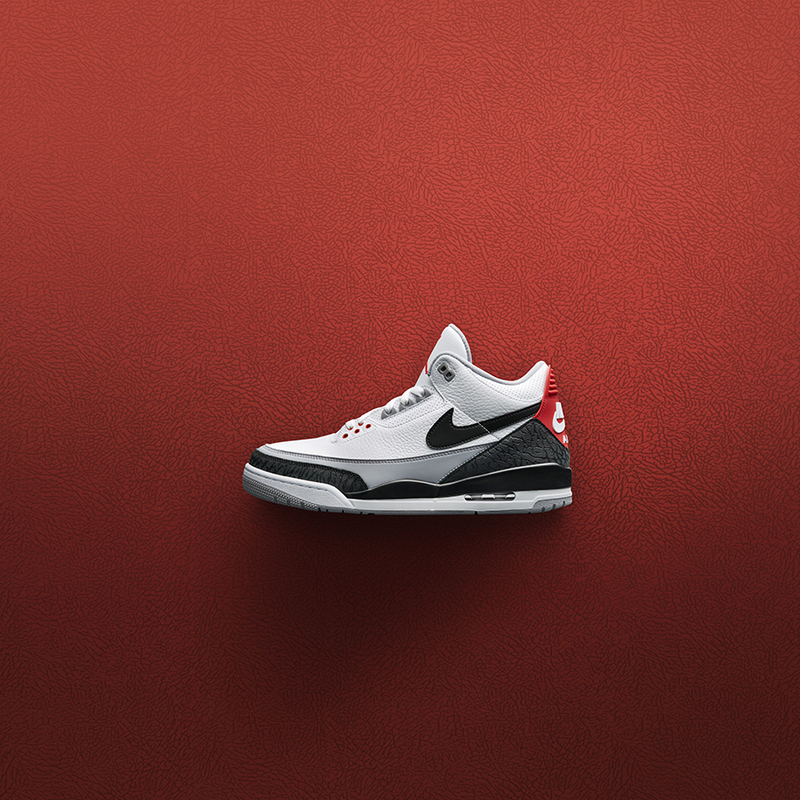 The Air Jordan 3 NRG “Tinker” to release March 24th at select Jordan Brand retailers for $200 USD.